Daryl Gregory’s Harrison Squared is a much sillier book than its cover implies. The sinister Lovecraftian overtones suggested by the tentacles looming behind the protagonist are present, but the book’s overall tone is actually pretty goofy even though it’s about a kid trying to find his missing, possibly kidnapped mother. Most of the goofiness comes from the random literary jokes and pop culture references that Gregory includes throughout, but it doesn’t help that Harrison Squared feels pitched at a younger audience than I was expecting. Instead of a Tor SF&F novel with a teenaged main character, it reads more like a young adult novel in adult packaging. Of course, I read plenty of YA, so I don’t necessarily have a problem with the book’s reading level. 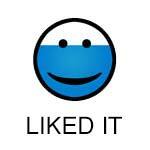 The real issue is that I was expecting something deeper and richer than Gregory delivered. The book’s town of Dunnsmouth is sketchy and underdeveloped, and Harrison barely spends any time going to the school at the center of the story. Gregory also sets up a number of threads that don’t really pay off. The other students at Harrison’s new school speak in a complicated sign language that he never actually learns. They also take part in a religion that seems to consist mostly of singing in an unknown language. More damning is a late revelation about Harrison himself that feels superfluous to the story. All of these details hint at a world without actually making it feel lived-in. Harrison Squared ends in a way that seems to require a sequel, but it turns out that a semi-sequel already exists. One of Gregory’s previous novels, We Are All Completely Fine, includes an adult Harrison in its ensemble, although the summary makes him sound very different from the version portrayed here. 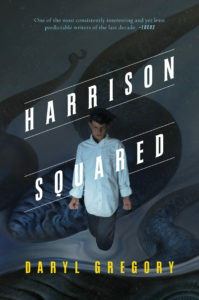 Harrison Squared is a quick read, and I did laugh a few times, so I’d be willing to give Gregory’s work another chance. Ultimately, though, I thought this book was a bit forgettable. It just doesn’t break any new ground in the fashionable mini-genre of Lovecraft pastiches. Full disclosure: Although I did receive a free review copy of this book from NetGalley, I listened to the audiobook on Audible.